When it comes to Filipino snack time favorites, Rebisco is a household name among families, friends and working professionals. Who doesn’t have fond memories of munching on the creamy goodness of Marie as a child? Or opening their baon to find staples such as Rebisco Sandwich, Rebisco Crackers and Hansel? With an extensive portfolio of some of the nation’s most beloved snack products, Rebisco has steadily expanded its portfolio to appeal to the changing preferences of Filipino consumers. Today’s kids and kids-at-heart have a lot more to choose from—biscuits and crackers like Rebisco Sandwich, Hansel, and Combi; cakes and breads like Fudgee Barr and Topps; chocolates and wafers like Choco Mucho, Krimstix, and Superstix; nuts and seeds like Ding Dong and Happy; chips and curls like Funky, Potato Plus, and Pop-O; and candies and gums like Lipps, Chubby, and Judge. 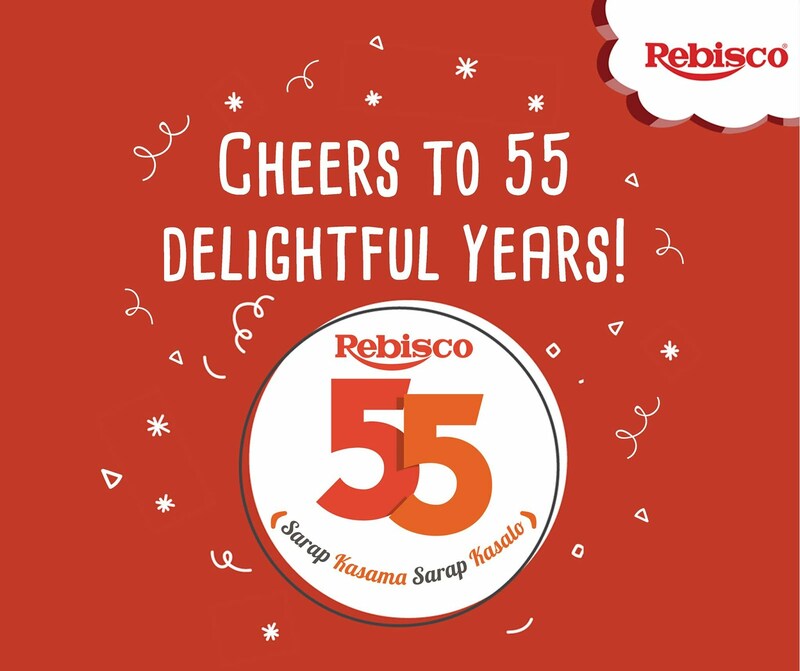 As the well-loved snack leader celebrates its 55th anniversary, Rebisco not only looks back on its legacy but more importantly, gears up for bigger plans ahead as it continuously grows its business and expands its market. The company’s increasingly diversified portfolio reflects Rebisco’s drive toward innovation to meet the Filipino consumer’s changing preferences. One such product innovation is the country’s first commercially packaged donut, Doowee Donut, which was created for a growing market with a limited snack budget and access to popular donut shops in malls. Another unique product is Mr. Keso, a savory candy filled with a delicious cheese filling that remains to be the first—and only—of its kind in the local market. This sweet-savory treat was named as one of the three Nielsen Southeast Asia’s Breakthrough Innovation Award winners in 2016 for Rebisco’s thoughtful combination of research, marketing, and consumer insight in developing and launching the product. The launch of Hansel Premium Matcha, a limited-edition twist to one of Rebisco’s classic brands, further illustrate the company’s commitment to innovation. The product took the popular matcha trend straight from social media and digital magazine features to the production floor and the marketplace. Thanks to the efficiency of product development and on-point marketing, Hansel Premium Matcha took Philippine Facebook by storm and became viral within a few hours of launch. The product also sustained an upward trend in digital conversations until it exited the market as part of its limited-edition nature. What started as a small neighborhood bakeshop in San Juan is now a homegrown empire. Buoyed by the triumph of various snack products, Rebisco has explored other markets where it can bring its successful production and business models, as well as the company’s reputation for stellar quality and affordability. The company continues to expand its offerings to other food categories like ice cream with Creamline, spreads with Happy Peanut Butter and the Rebisco Yema Spread, and beverages like the Chalife Milk Tea. Creamline offers a wide range of products such as cream bars, pinipig bars, ice cream cones, and family-sized tubs in flavors that Filipinos love and crave, at affordable prices. The ice cream brand will also be launched in the United States this July 2018—Creamline products will be available in Seafood City Supermarkets in the West Coast. What's your memorable Rebisco moment?